Last week brought confirmation that Borderlands 3 would arrive on September 13 and be exclusive to the Epic Games Store for the first six months post-launch. As was the case when Metro Exodus was revealed to be an Epic exclusive, the previous entries in the franchise have been getting review bombed on Steam. Games that have an off-topic filter will show an asterisk next to their review ranks. “This product has experienced one or more periods of off-topic review activity. Based on your preferences, the reviews within these periods have been excluded from this product’s review score,” explains the platform. The filter is optional—users can revert back to the original system if they want—and it’s still possible to read the negative reviews when the feature is enabled. For all the objections, it appears that Epic Games isn’t about to slow down when it comes to signing exclusivity deals. The latest rumors claim the PC version of Red Dead Redemption 2, when it eventually arrives, will skip Steam for Epic. Expect plenty of outrage if that turns out to be true. It's all about the Benjamin's. I don't see myself getting B3. And at this point, if RDR2 goes onto Epic only (instead of letting the "best" platform win), I'll just acquire it another way. I'm not supporting paid exclusives on PC. Capaill, Clamyboy74, syrious01 and 6 others like this. Why not put it on all the digital platforms? if you're a big name franchise you'll make your money no matter what, probably even more if you give everyone a choice. Consumers can show their annoyance, and Valve can legitimately censor them because these aren't real game reviews. I'm making fun of Randy Pitchford's comment. Capaill, Clamyboy74 and Evernessince like this. Are people forgetting that steam is THE PLATFORM for borderlands? Borderlands 1 now uses steam game services instead of gearbox online crap. Then, they just used steams system entirely for borderlands 2. If my understanding is correct, borderlands 2 is still a steam exclusive. So this isn't just being disappointed about it not being on steam, it's changing the borderlands platform entirely. It's like bungie saying Halo is now going to be a PlayStation exclusive. Why aren't people talking about that? And I find these reviews to have merit for the review bombs. A gaming company has changed their policy and people have a right to know what to expect out of a business. They can't throw valve under the bus and then expect them to cover their arses after they eff up. JamesJamesJames, Clamyboy74 and syrious01 like this. Pretty naive of Gearbox and 2K to think there wasn't going to be any blow-back on their decision. And other than not buying the game, there's only a few different ways for consumers to show their feelings. syrious01 and psycros like this. Pandy Bitchford just insured that Borderlands 3 will fail to come anywhere near sales projections. Notice how he not only singles out Steam as if their the only platform vulnerable to ratings manipulation but also completely ignores the steps they've taken to fix the process. Oh, riiiight - Valve made the off-topic review filter *OPTIONAL*, which isn't what Bitchford wanted. LOL, I never liked Boringlands anyway. Capaill and robb213 like this. So, steam can have exclusives but other stores cant? Hypocrisy at its best. Literally said "best" platform wins. Don't strawman what I said. Clamyboy74, syrious01 and robb213 like this. My interest in Borderlands 3 just went from mildly interested to borderline hate. I'm sure talking smack back at the consumers is a BRIGHT idea. Though let's be honest, I bet Gearbox will be making a lot of money still. Plus it actually cost less to purchase games via Epic, right? So what's the big deal? Not everyone is made of money, I'll take any saving I can find while supporting the developer. Clearly Valve doesn't care otherwise they would jump on the bandwagon and match their prices yet they stick to their guns... I wonder what are they betting on..? 6 months after release it'll be available on Steam eh? Well that just about coincides with when games typically go on sale for their platform. If not I'll just wait for it to go on sale on Steam, the platform I want to play the game on, and Gearbox will get even less money out of the transaction. The last thing I want to be doing is splitting up my game franchises among different gaming platforms. I'm in no rush to play Borderlands 3, I'll play it when I can buy it where I want to buy it. andrewyoung and TomSEA like this. That's exactly my take. Normally, I would pre-order this, but I have plenty of other games that can take up my time. I'll be happy to pay 1/2 the original price and get it on Steam - my platform of choice - 6 months down the road. With very few exceptions (like internally developed Valve games, for example), Steam "exclusives" are not due to Steam's aggressive marketing, wheeling and dealing, or other negotiations with game publishers to lure them to an exclusivity agreement. They are choices that the developers and/or publishers made on what service they wanted to catalog their game for their customers. There is a huge difference between the 2 situations. Adhmuz, robb213 and m4a4 like this. What? Afaik, the new review bombing policy is a response to the Devotion debacle, where Chinese players review bombed the game because it had a hidden easter egg mocking their great leader Xi Jinping. It's also worth noting that Steam took advantage of this chance to also classify as review bombs that will fall under the new policy, complaints made about DRM (Denuvo) and changes in EULA, which was a very sleazy move. Some of you are forgetting that Borderlands 3 is not a PC-only game. I think the sales will do fine. This is something that is a minor inconvenience. They will be getting 88% rather than 65%. I can't blame them at all for making this decision. Why people get mad?, developers are gonna get more money, so either we get better games, cheaper games or more variety. Steam is charging 30% of the developers income without adding almost no value to the games. Competition is almost everytime good for the clients. 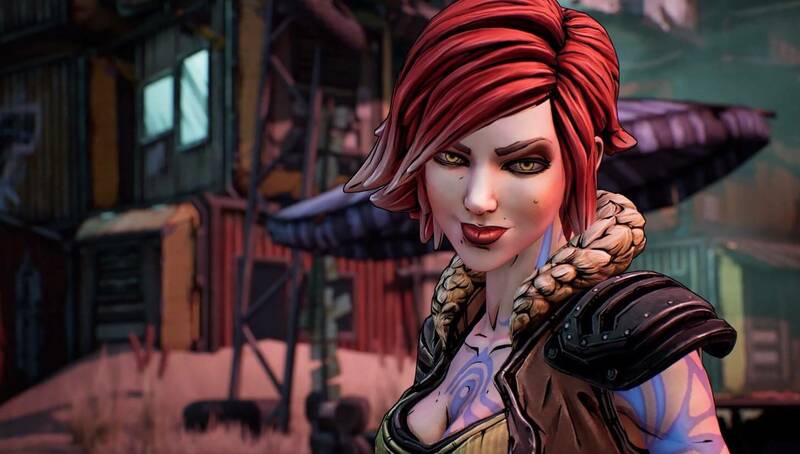 - 2K makes the decision to support exclusivity deals and decides to give Epic's store a 6 month head start with Borderlands 3 (probably due to some seriously lucrative incentives, most of which we'll probably never know). - Loyal customers who have been buying the BL series for years on Steam are rightfully upset. - Backlash commences, and the review bombing attacks begin in retaliation for 2K's decisions. Somewhat juvenile tactic, but the players want to make their anger known. 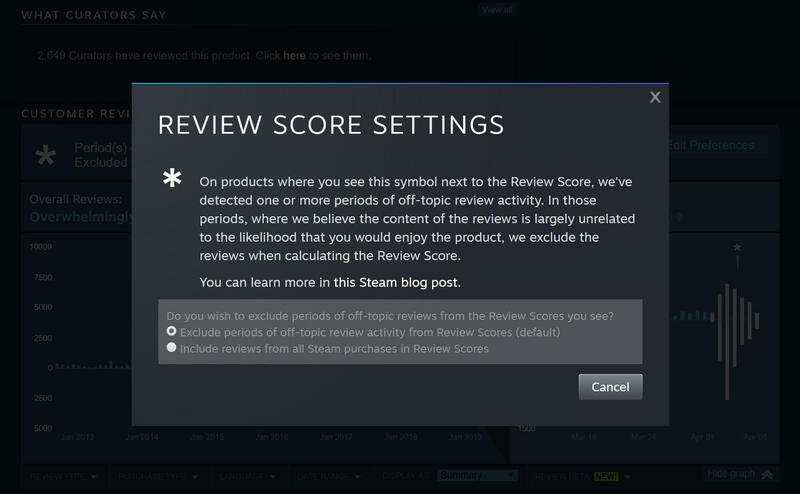 - Steam does damage control and uses a system to help rectify and nullify the review bombs. - 2K leader takes to Twitter to blame Steam for allowing it to happen in the first place, question their future with Steam, and never once take any blame for the backlash their decisions created in the community. Did I get that about right? Capaill, JamesJamesJames, andrewyoung and 3 others like this. I wish I lived in that place. the devs will get more money and still claim it isnt enough then still hit us with more preorder, dlc, microtransaction BS than ever. Look at bl3 itself, coming exclusively to epic because epic paid for it and doesnt take a massive cut of profits....YET, the game will still have multiple version and addons to pelt you over the head with. steam may take a nice cut but it also has message boards and other things covered so when these busted a$$ games release players have a place to go and find answers. Adhmuz, andrewyoung and Evernessince like this. But that's not the case at all. Yes, Steam charges 30%, which has been the going industry standard rate for about as long as Steam has existed, I believe. In return, publishers have a stable digital delivery system with a giant catalog and massive user base. One that endlessly promotes titles, spotlights new titles, provides early access programs... And has a huge community/forum system, with an entire workshop API dedicated to allowing the communities to share created content if the developer wants to incorporate that system into their code. It's not that Steam is charging "more for nothing extra" here, even if you'd like to believe that. It's that Epic is charging less for a new platform with far fewer features. Adhmuz, andrewyoung, Dalunar and 2 others like this. Still $60 to pre-order. Mind you the EPIC store doesn't even have pre-loading, let alone reviews. It's missing a ton of features that steam provides. See the link above. We are not getting cheaper games. Borderlands 3 was done before the platform was chosen, so you aren't reaping any "better game" benefits from this. They are pocketing the money plain and simple. Those tweets came out well before Valve implemented the filter. Not seeing anyone mention that, or the response Valve gave to the site who asked for comment and only got one juuuust before closing shop for the day. And, if you could read, you'd see that Randy mentioned Gearbox Publishing. That's all those games thst were announced BEFORE BL3. See, 2K is the publisher and made the decision for BL3 to go on EGS. All the Gearbox Publishing games are/were headed to Steam. This is clearly beyond you're ability to understand, but that would be a move to protect their third party developers from *****s like you. See, the publisher in charge of this decision is 2K. Would you like to guess the publisher in charge of the other games making the exclusivity deal? I'll give you a hint; starts with a 2 and ends with a K.
Kind of hard not to implicate gearbox in this when their head boss is seen shitting on steam in a tweet. Perhaps he should learn to think before talking. Ironically he is criticizing steam for a feature EPIC doesn't even have and a feature steam has actively been improving. There's no excuse for not contacting steam first to see if their side of the story. Someone in his position should know this. Right now all I see is a BS reason to justify the cash grab. Capaill, andrewyoung, Clamyboy74 and 3 others like this. PC is by far the biggest platform. Steam alone has significantly more users then either PS Online Or Xbox Live. Not counting the numerous other online games like WoW and other game launchers. I don't think that is true. Console games in general have a way larger audience and revenue compared to PC. But if you have any sources that say otherwise, I'd love to use it to smear it on console plebs.